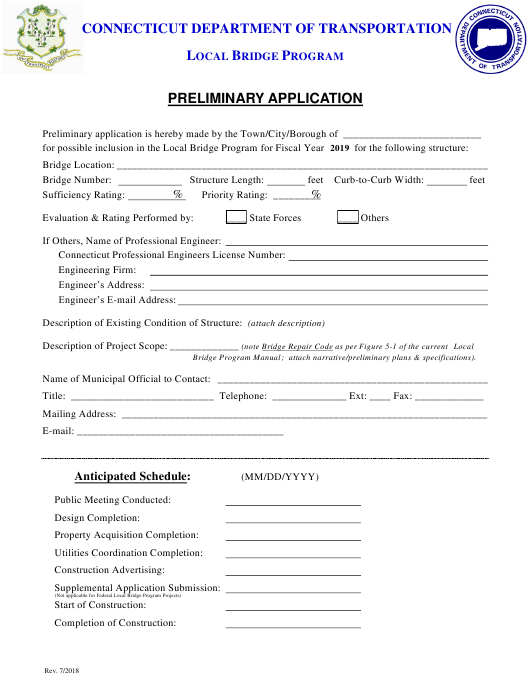 The Connecticut Department of Transportation has released this version of the "Preliminary Application Form - Local Bridge Program" on July 1, 2018. This form may be used by all Connecticut residents: download the printable PDF by clicking the link below and use it according to the applicable legal guidelines. ; attach narrative/preliminary plans & specifications).